Collect a Halloween Original ! (I.) 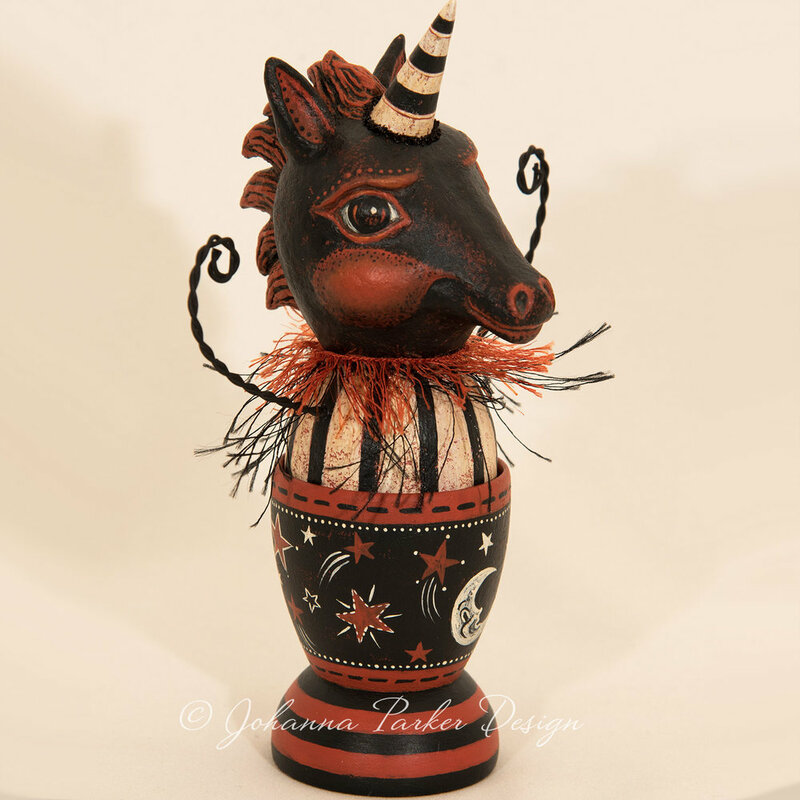 "Moon Star Unicorn Egg Cup" - SOLD - Thank you! 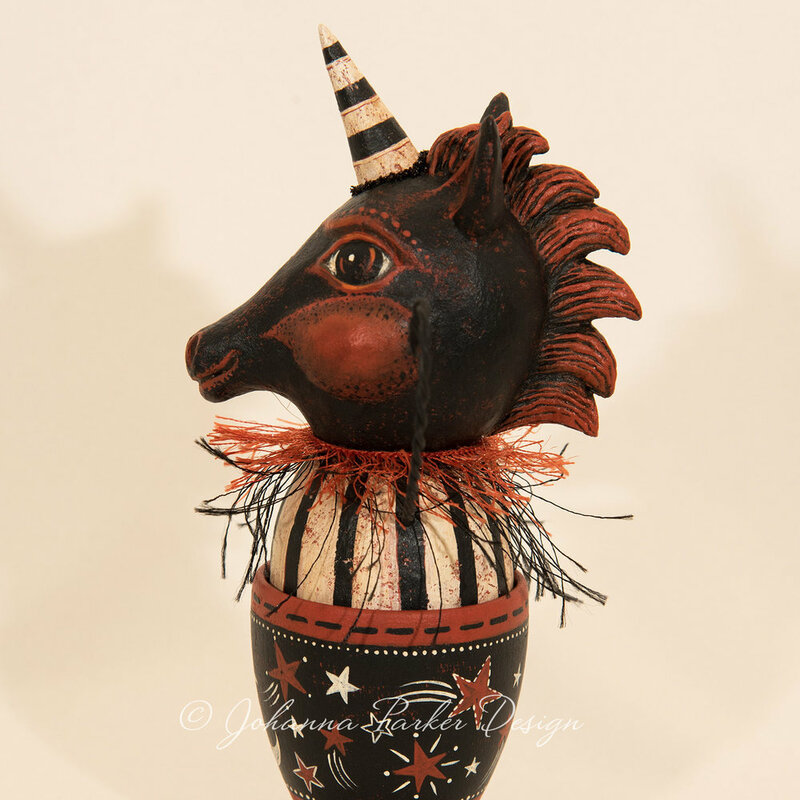 Moon Star Unicorn Egg Cup is a sculpted and hand painted papier mache Halloween Unicorn, nestled in a wooden egg cup. 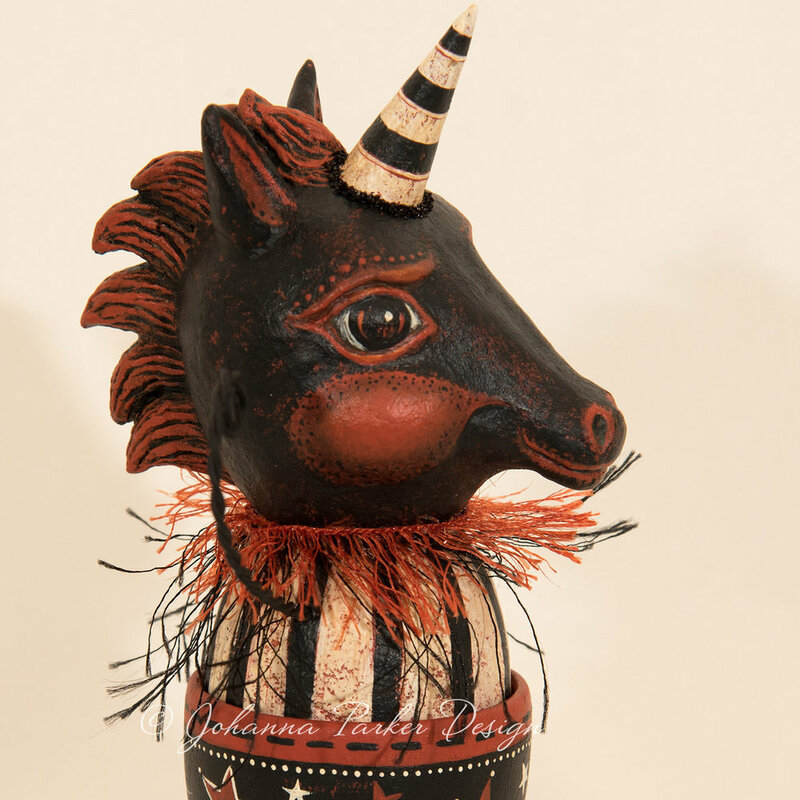 He has a stylized textural mane, striped horn and the face of a whimsical stallion. Under-painted in tones of ruddy orange, this black horse is quite the striking piece. He proudly strikes a pose with his wire twisted arms raised high. Large bulbous eyes and cheeks make him irresistibly sweet. Lift his head to reveal a hand-formed wooden egg cup below. A whimsical crescent moon with stars and polka dots adorn his base. A pair of soft wispy collars add extra whimsy to this magical piece. 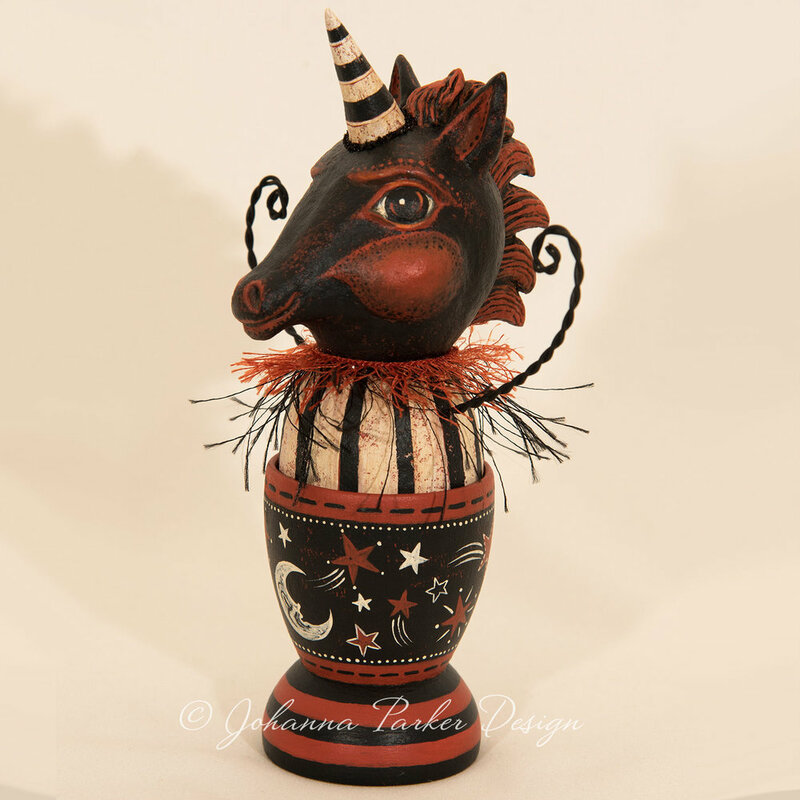 A very unusual Johanna Parker Design original! To purchase, please send an EMAIL and include Letter I in your title. Thank you!